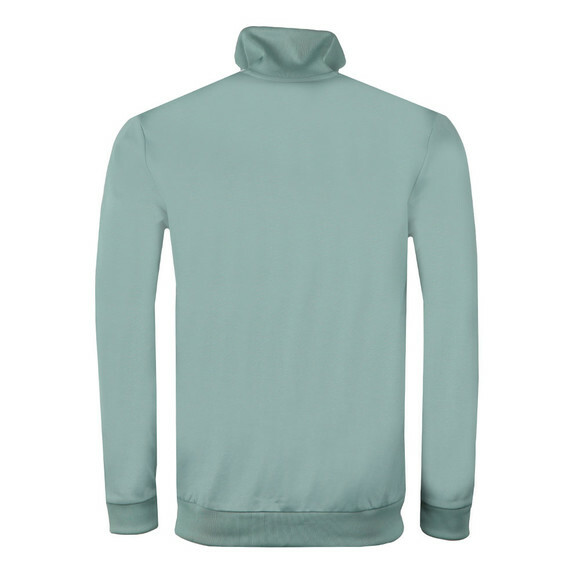 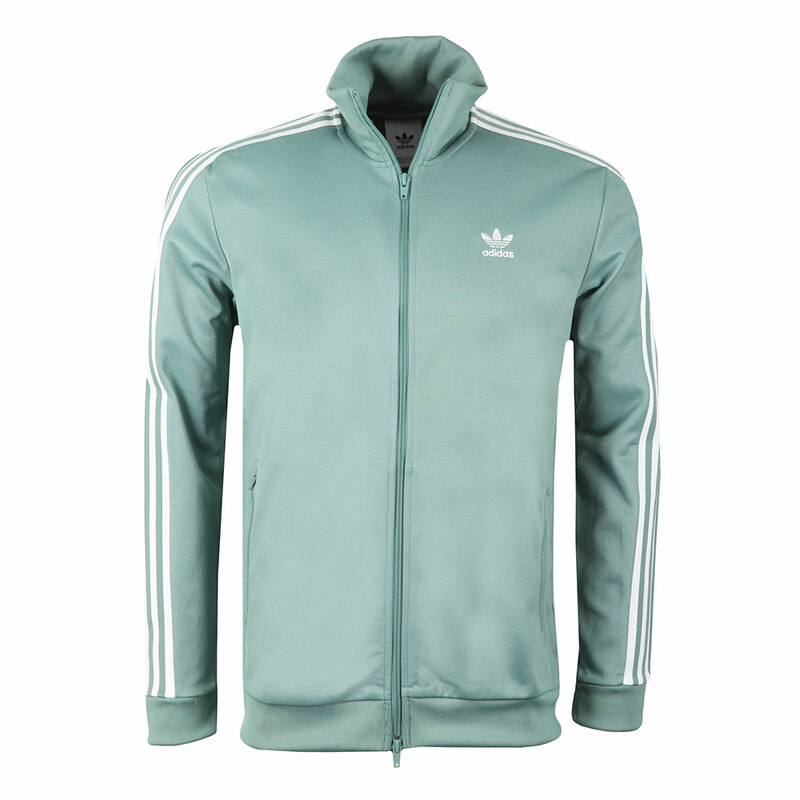 Adidas Originals Beckenbauer Track Jacket in Vapour Steel. The Beckenbauer was the first adidas track suit to feature the 3-stripes.Includes a full front zip fastening, two zip side pockets and a standing collar. 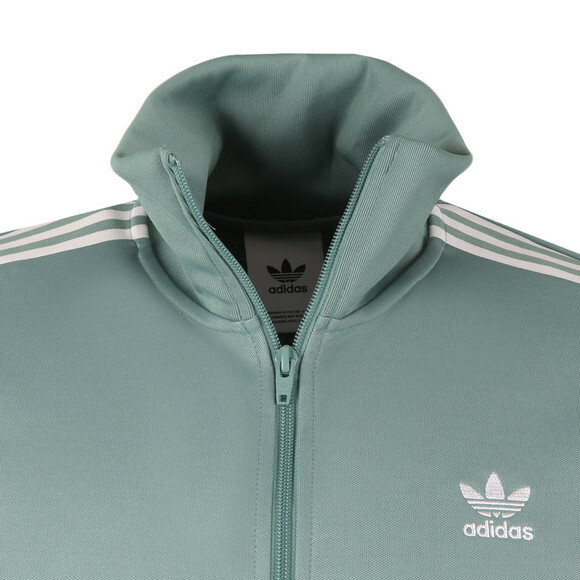 Three stripe detail and completed with the Adidas Originals logo embroidered to the chest.